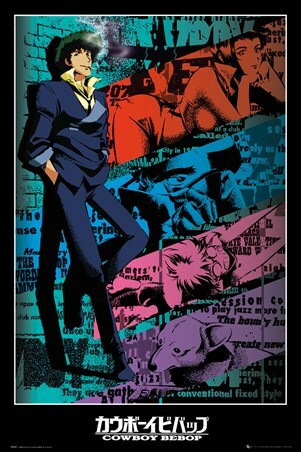 Spiral into an anime world of full of superhuman students possessing a whole load of different powers and abilities with this epic poster from the TV series, My Hero Academia. 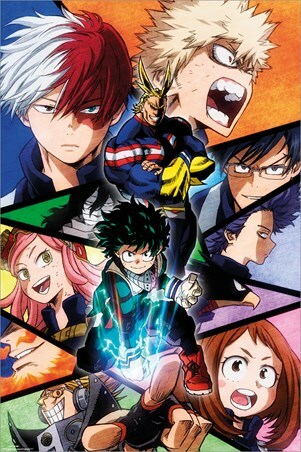 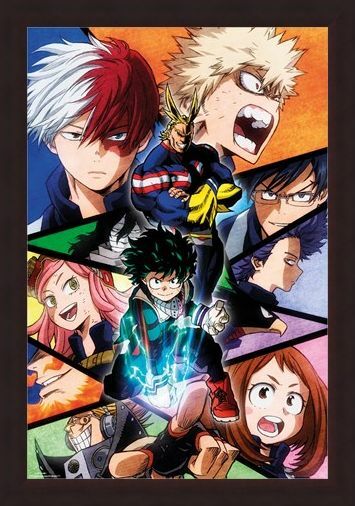 Featuring characters such as Ochaco Uraraka, Shoto Todoroki, Izuku Midoriya, plus many more, this spectacular scene sees the students of the UA High School mashed together in a frenzy of colourful segments and is the perfect gift for any fan of this action packed saga! 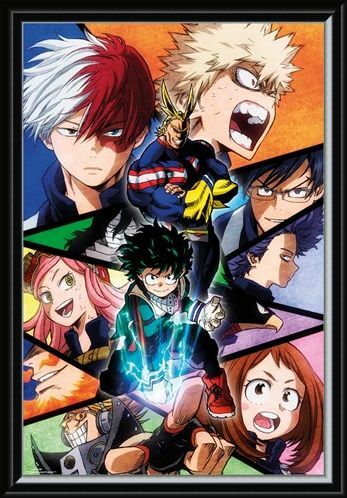 High quality, framed Character Burst, My Hero Academia poster with a bespoke frame by our custom framing service.